Do you agree or disagree? Let us know what you think in the comments. THIS GIVEAWAY IS NOW CLOSED. We’re giving away a shiny pair of Sony noise-cancelling headphones – perfect for those days when you need to block out office chatter. Plus, you’ll score bonus points for sharing YOUR best business advice. I agree that it’s tough for a small business to compete on price, but we shouldn’t ignore the 30% that use service as a priority. We offer way better customer service to our clients than a big corporation would. I tend to agree with Alana. Price is always going to be a top priority for people, but good service goes a very, very long way. Having good customer service and customer relations is the key to retaining customers! In a strained economy, price is always the top concern, but small business has the unique ability to give the customer that personal touch. That service will pay dividends long into the future. Customers tend to be very loyal when treated properly and with respect. Just remember you get what you pay for. If you want to pay less then you will most likely get less for your buck. Shop at Walmart and get zero service but the prices are great. Want service, step up and buy from Nordstrom. Pay more but you can find someone to talk to and will understand you needs and service the heck out of you to win your business. The total cost is not always the sticker price!!!!!! Agree with Tenney. One must look at the TOTAL cost of a product, not just the retail price. As someone working for a small business and involved in technology purchases, I have found that, in this economic climate, the cost of service in a purchase doesn’t always translate upstairs. In the end, everything comes down to a line item on a spreadsheet so for them its always price. For me, I have to strike a balance between price and service but something always gives. The way the economoy is these days you can’t guarantee that even a large business will be able to retain low prices. But a business strategy that incorporates “good service” as a standard will always have returning customers! I disagree with most of the statement. Take the common sense approach to your own situation, make sure it can do what you need before you price it. For us, 0% was price (we didn’t care it’s an investment), 20% for service/support of the product, 70% for what the tools can do, and 10% was for the bells and whistles – what extras can it do, reports, and what we can replace because of it. the part I can agree with is the last part, it is the bells and whistles that help set you apart. That is true with any product or service out there. We are firm believers in that price is not the only criteria. We offer many “free” services to help our client evaluate the needs of their patient and which of our many technical products will work for them. Technical information and adjustments after sale warranties etc.. We are not the cheapest on the block by far. Our pricing is more the Dollar more than the completion with the same services. Grandfather John started the company in 1939 over 70 years ago and service and honorable dealings are a given with us. Timing is also a large component with us in that our industry is custom manufacturing and getting the work back to the customer on a timely manner is imperative. If you do not meet the “due date” the Dentist must call the patient and reschedule…. anymore that means that the patient must reschedule with their employer for different time off. We are in constant competition with huge integrators including Lockheed and BAE. We look at every angle, including price, when it comes to strategies to defeat them. I agree with Emily, I work for a small non-profit mental health facility and detox program in florida and and the one thing that our company pushes for is excellent costumer service. I definitely agree. It is virtually impossible for small business to compete with the big boys when it come to price. However, small business can beat them in service. 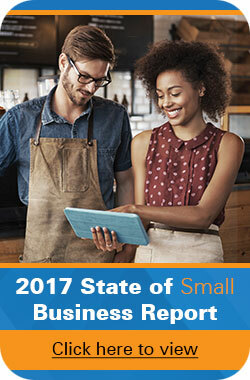 Small business can give the personal touch and cater more to the individual needs of their customers. The 40% is a great way to capture a good share of the market but adding the 30% who seek service boosts your market share and profit potential over the top. It is such a fine line between price and service for a small business. If you cut the price too much, you hurt your business, causing areas in service to suffer, aultimately affecting your customer base. If your service slips, word of mouth can hurt, same with price. We feel we have to give the best service we can until the economy settles then hopefully think of price more. We use service as a differentiator between us and our cheaper competition. Big boxes aren’t able to listen or respond as well as we are. Gaining and keeping customers are what keep us in business. We offer value-added services that customers can’t get elsewhere. Furthermore, we have found customers don’t mind paying for these services! We have in the past not charged for these added services, but found that customers didn’t appreciate what they were getting and how it made us different from the lowest bid… charging brings their attention to what we provide and they are grateful! Nice 40%, I will take it. On a municipal budget, you can’t purchase something you cannot afford or whose purchase would leave little or know money in your capital budget. However, both quality of the product and service enter into our choices. For servers we go with well-known names and trusted warranties, because we need the systems running 24/7. For software, we need a combination of the right product, good support, and then price. In the town in which I live and work, we chose a vendor for a large capital project based on price and support, given product capability was similar with all vendors we reviewed. I guess when I heard this advice and repeated it, I assumed that 30% service category was already being pursued by small businesses. So, when we (small businesses) go after the 40%, the total target audience is 70% of the market. We agree, and it sounds like lots of other folks do too. Small businesses have a great advantage when it comes to delivering real value – that is better-than-average customer service and other differentiators, instead of just competing on price. My customer’s tell me they stick with me for quality of product as well as promptness of customer service, so I am after the other 40%, but that doesn’t mean that I can neglect any facet. I’d go for both the 40% and the service 30%. BOTH are important to a small business. We believe quality of product plus quality of service can really make a difference in the bottom line. We work hard to ensure that our customers receive the best product with solid service which makes it worth the extra money.